Aerosoles really gets New Yorkers. This is a walking town, but a chic walking town, so we need comfort and style. 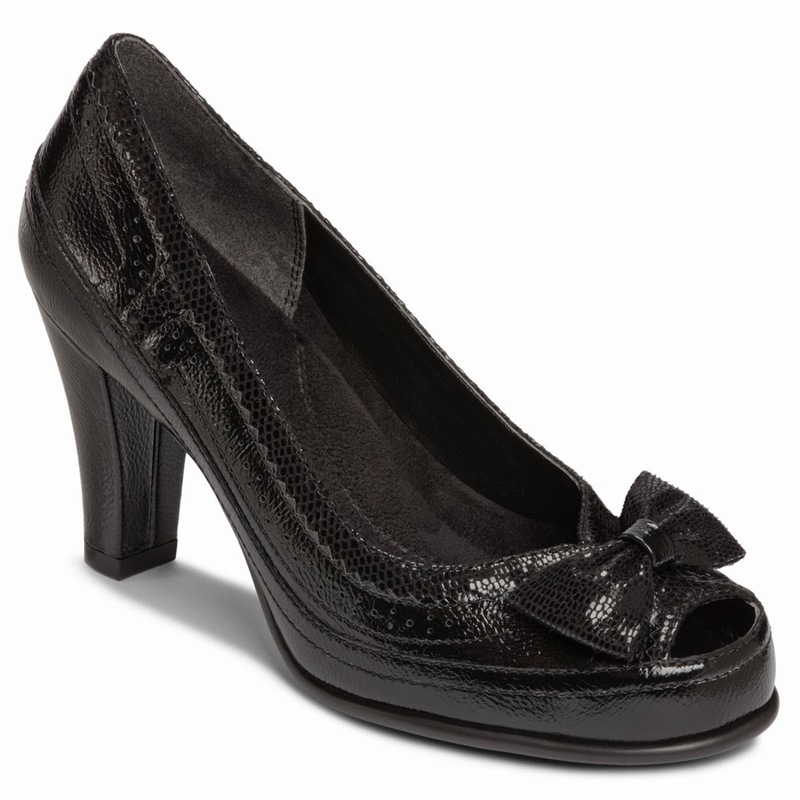 Enter these peep-toe pumps featuring Aerosoles' exclusive "Heel Rest" technology. 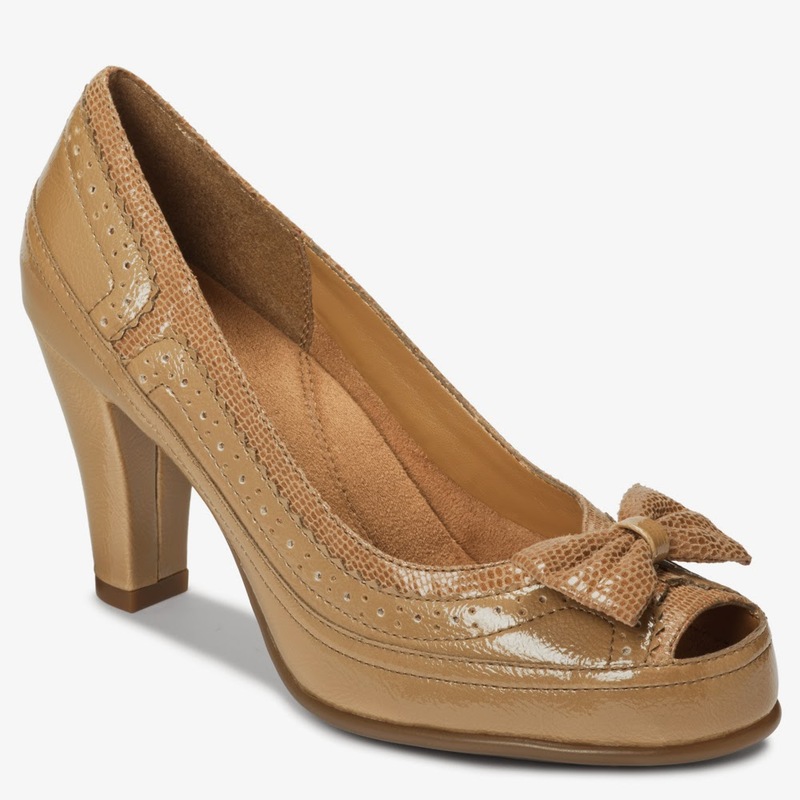 Heels designed for maximum comfort at a very reasonable $69. According to the American Osteopathic Association, "One in ten women wears high heels at least three days a week." Yeah, that sounds about right. There was a time I happily wore heels at least four days a week, ignoring any kind of warnings that the aforementioned association published, like that high-heels are one of the "biggest factors leading to foot problems in women, with up to a third suffering permanent problems as a result of prolonged wear." Yes, that's when I cover my ears. I hear no evil when it comes to heels. Luckily, for those of us who are addicted to height, Aerosoles developed "Heel Rest" technology. The Heel Rest distributes weight towards the heel and away from the ball of the foot, resulting in superior comfort. 3 inches of comfort: the perfect walking heel. Now you know why Aerosoles has the most comfortable heels. Stop by the 34th Street boutique and try on a pair, I think you'll be pleased at not just the comfort, but also the very cute selection.